Myofascial Pain syndrome is an extremely painful and chronic condition that impacts the connective tissue that covers the muscles. It is thought to occur because of inflammation of the fascia, the connective tissue that covers the muscles in the body’s soft tissues. If you are suffering from myofascial pain, you may not be able to work, especially if the area that triggers your pain is located where your body is active during the course of your work. Frankel & Newfield has represented many professionals and workers whose myofascial pain has prevented them from the tasks they need to accomplish to perform their jobs. Myofascial pain may be a result of an injury to the spine, or repetitive stress, general fatigue or a heart attack. A diagnosis of myofascial pain is a problem for disability insurance companies because it does not show up in blood work and radiologic tests like MRIs or X-rays don’t always show the inflammation. 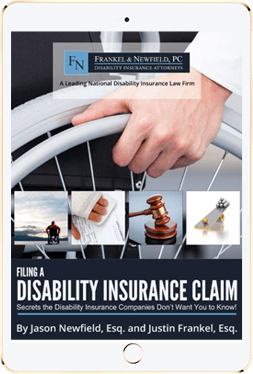 Please call our disability insurance law firm at 877-583-2524 to find out how we can represent you if your disability claim has been denied or fight back if your benefits have been terminated.